Welcome to Mark Wilson’s Better Used Cars: 50+ Years of Service! Our history in the field of Automotive Customer Service goes back to 1961 when Al Wilson opened his Automotive Service Centre in Guelph, Ontario. His son eventually took over and focused on selling quality certified used vehicles as Mark Wilson’s Better Used Cars. People liked what we were doing! Wilsons’ reputation for honesty, quality, and fair prices paved the way for us to open a second location and then a third, within a few short years. Thanks to our loyal customers and sound business practices we continued to grow and moved into one large location on Whitelaw Road in Guelph! Wilson’s is a family business – we have several family members working together along with employees that are top of their field. Many of our employees have been with us for 10, 15, even 20 years and longer! No matter what our experience level, all our employees firmly believe in the Wilsons Way of doing things to make sure you have an Awesome Customer Experience! We’re proud of our history, excited about our future, and we’d love to have you come be a part of that! When Mark Wilson took over and created what is now Mark Wilson’s Better Used Cars, he focused on finding BETTER used vehicles for Guelph and the surrounding area. We’ve grown over the years and now serve the Greater Toronto Area, all over Ontario, and even across Canada! No matter where you live, our focus is still the same – finding BETTER used vehicles for our customers. One thing that’s never changed is our goal to provide the best possible customer experience with top-notch repair/maintenance service and a comprehensive inventory of BETTER used cars, trucks, SUVs, crossovers, and minivans. Our expert team of dedicated buyers have decades of experience, ensuring that our cars are high quality, and at a fair price. We believe in treating people fairly through the entire purchasing experience, and after. It starts with having a huge selection of BETTER used vehicles to choose from, and friendly staff to help you choose. You’ll notice our prices aren’t inflated – we use live-market pricing technology to monitor our prices daily, ensuring that we are fair and competitive. Once you’ve chosen your vehicle, we’ll get to work on making it ready for you with our high standards of vehicle certification. Our staff professionally details all vehicles when they arrive at our dealership, and of course before you take it home. Our team of Financing Experts can help anyone with arranging financing at the best possible rate, even if you’ve had credit challenges in the past. Due to our large buying power, we get you BETTER vehicles, BETTER financing, and provide BETTER service. That’s the Wilson’s Way! In addition to providing superior vehicles at excellent prices, Mark Wilson’s is a human company that cares about our customers and community. Our dealership annually sponsors many local sports teams for young children, including Hockey, Baseball, Softball, Soccer and more. The future of our community depends on today’s children, and we believe in doing our part to give back to the community. 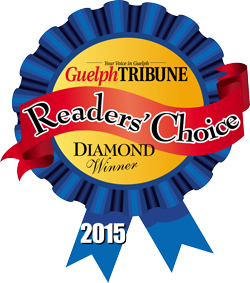 Our customers know that Wilson’s is different than most used car dealerships in Ontario. We offer many services at no additional cost. We encourage you to read our reviews on Google and DealerRater to read unbiased reviews and see for yourself! Oil, Lube, and Filter are included for FREE for all of our vehicle deliveries. Free Pickup from Toronto Pearson Airport for our out of town customers! Free Local Shuttle for our Service Department! We will take you to work (or wherever you need to be) and back in time to pick up your vehicle! Our goal is to achieve 100% customer satisfaction. Nobody is perfect, but we are willing to meet all of your needs, and correct any mistakes. Our driveway is not the end of the road for our relationship! We encourage happy customers to leave us a review online, and we respect and appreciate all feedback. 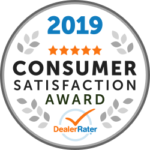 We do our best to provide the best customer service, and we have earned an A+ Better Business Bureau Rating, we have been voted Guelph’s favourite dealership 2004-2017, and we have successfully been in business since 1961! Our brand-new state-of-the-art facility marks a new chapter in our history, one which we are very excited to write with the help of our loyal customers. Anyone in the market for a new-to-you car can search our entire inventory online, and when they find a vehicle they like they can easily come to our dealership and test-drive it. Our representatives will gladly help answer any inquiries shoppers have. Our financial department will work with each individual to find them the best auto loan. Shoppers can even get a head start on the process by filling out our online credit application. Mark Wilson’s Better Used Cars in Ontario is also a premium service center. Shoppers can be assured any used vehicle they purchase from our lot has been inspected by certified technicians. Our used cars are safe, reliable, and many are covered by extensive warranties proving their excellence. Customer satisfaction is the main priority at Mark Wilson’s Better Used Cars, so if you have any concerns please address them to our representatives. We appreciate our customers business and will do what we can to keep them loyal to us.